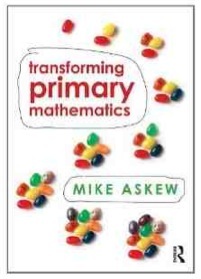 I’m interested in seeing mathematics, particularly in primary schools, differently. I believe that mathematical activity can be engaging and enjoyable for all learners. My teaching, speaking and researching are concerned with making maths a creative endeavour that helps learners understand more about themselves as well as the world. I’m keen on community building in mathematics classrooms and exploring how cooperative activity supports individual learning. I’m exploring how games and techniques from improvisational drama can be adapted to maths to support community building. I’ve been a teacher since 1978. I started my career in primary schools and although most of my work is now in teacher professional development, I still think of myself as a teacher. I’ve been lucky to teach around the world, and where ever I go I am always delighted by the joy that learners, young and old, can find in mathematical activity. As well as a speaker and writer, I’m Adjunct Professor of Education at Monash University, Melbourne. I have also been Professor of Mathematics Education at King’s College, University and was a Director of BEAM Education, specialising in publishing support materials and professional development for primary mathematics.